I got the Minolta Autopak-8 K11 in the mail today, and I'm a little underwhelmed. The camera is in okay shape; it runs—which is a major plus considering all the lemons I've sampled lately. I think it's been dropped or bumped. The optics seem just a tad off—mostly noticeable in low-light areas, but it appears to be okay in daylight. The automatic zoom is busted (the motor whirrs, but I suspect the lens housing is bent), and it's missing the manual focus lever. At this point, I need to start shooting film, otherwise my wife will shoot me for wasting money on junk! Thrift stores are always an option—but like I said: needle/haystack. I've just purchased two cartridges of Kodak Tri-X Black & White Reversal super-8 film from BHphotovideo for $22/roll. Unfortunately, I'll have to wait until Wednesday of next week to test some footage, and then it will take a week or so to process it. This is going to take some time, but it will be worth it. As I continue on my journey with super 8, and trying to acquire a decent camera to do the job, I am kissing more than my fair share of frogs. 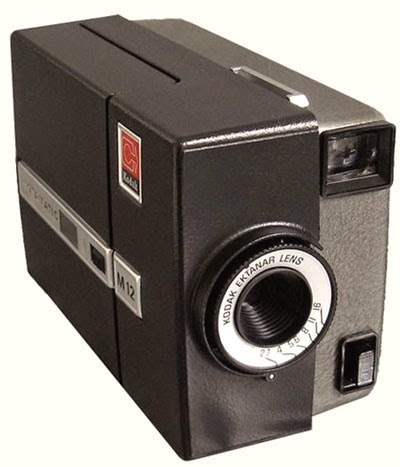 My dad’s old Kodak Instamatic M12 is busted. Has been for years. I keep it more for sentimental reasons, but obviously there’s not much I can do about that. I dug out my old Revere Model 88 but remembered that it takes Regular 8 film… which is fine, but most stocks have been discontinued. 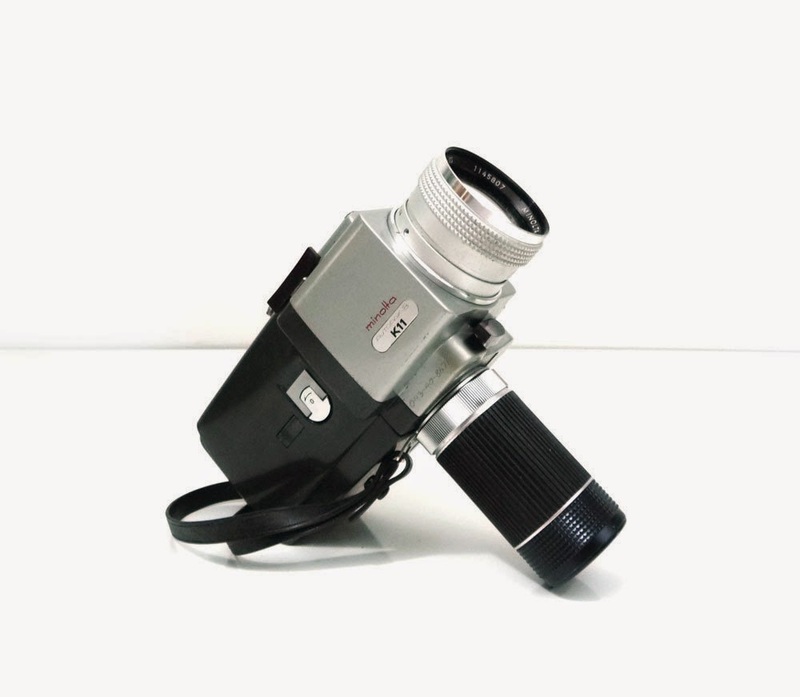 The only one available through BH Photo Video, FOMA, is backordered until May. The price is reasonable, but trying to find a processor that a) handles black/white reversal film and b) won’t cost an arm and a leg makes it a little difficult. I've always loved film... and by film, I mean the actual physical medium of celluloid. I own a couple of Super 8mm cameras (a recently acquired Argus 804 which I've restored, and a Kodak Instamatic m12 that belonged to my dad, and an old Double 8mm Revere Model 88 pictured above). I haven't used them since I was a teenager. When I started creating movies, I had considered shooting film but the cost always seemed prohibitive. Being humbled is never easy. It’s great to know that I write compelling stories, but it’s better to know I need to work on story structure, character arcs, and, well, putting a sentence together. It’s the opportunity to look at my previous work with a more critical eye. It’s easy to become complacent in anything you do- whether it be writing, drawing, or keeping up the yard. We tend to look for the easy way out, and to look for things we find familiar. When the familiar draws us, we get stuck into patterns and years pass by without anything of value to show. I am planning some major changes in my life... some pretty severe ones. As you know, I’m trying to get back into filmmaking, but talking and dreaming isn't enough. There are no excuses to NOT PICK UP THE CAMERA AND BEGIN SOMETHING.